Stocks: The end of the season will soon be with us with the last day being Monday 31st October. Any anglers who are eligible to fish in the double club fish off still have time to put in a return. Graham Bell is still leading the field with a weight of just over 10lb. The best areas over the last week from the boats have been around the causeway and northern shallows and along Fairbanks, Currys cast, the boulders and as far as blackhouse bay on the east bank. From the bank the best spots have been Bell point, 2 trees and into Hollins bay. Tony Taylor has had 3 visits over the last few days and landed 14 fish and lost a good few more. Tonys best spot has been around Bell point with his best tactic being olive booby in different shades fished slow and deep on a sinking line. The biggest fish this last week was a super brownie caught by Bob Fitzpatrick that was estimated to weigh 6-7lb before being released. Bobs brownie has been in the lake for a good while and has held its weight and condition well. See picture below. Strangely there have been a number of decent browns caught since the brown trout season has finished with fish in the 3-4lb range being caught. Sinking lines have taken the majority of trout for the last few weeks with olive being by far the best colour. Damsels, boobys fritz lures and snakes have all taken fish. Syotw Paul. Bob Fitzpatrick caught this stunning 7-8lb brownie from Fairbanks. The brownies being caught at Stocks at the moment are in fantastic condition. This entry was posted in Stocks Reservoir Fishing Reports on October 24, 2016 by staff. Sport: With the cooler temperatures the trout have started to feed with better catches being made each week. In calmer areas fish can be seen rising to olive and black buzzers of which there have been some big hatches. Trout are also in evidence around the margins charging into the vast shoals of minnows. Those anglers who are in the doubles club fish off only have until the end of the season on 31st October. Both Andy Cooper and Graham Bell fished this weekend and have returned their catches with both anglers dropping a number of fish as well as the ones landed. Andy caught 8 fish with 4 rainbows and 4 browns which unfortunately are out of season. Andy caught his fish from Currys cast on snakes and dabblers on an intermediate line. Graham landed 10 fish with 5 rainbows and 5 browns weighing up to 3lb. Graham caught his fish from Bell point, Currys cast and Blackhouse bay. Big lures fished on a ssi line took the majority of his fish although he did take one on a dry fly. I will not give the weight of the leader but it is certainly beatable. Tony Taylor was out on the water today and landed 6 fish. Tony fished from Bell point with olive boobys on a di6 sinking line taking all his fish. Nice to see the trout back on move and starting to feed. Syotw Paul. This entry was posted in Stocks Reservoir Fishing Reports on October 17, 2016 by staff. If you have caught a double figure trout during the 2016 season you can win a free season ticket for 2017. It is really simple this year. All you have to do is come to Stocks any time between October 14th and October 31st, register in the lodge as a doubles club angler, buy a full day ticket and go fishing. You can take all the rainbows and blues you catch during the course of the day to create your bag. 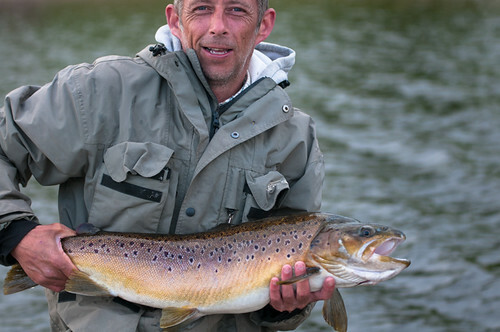 (Brown trout are out of season)The doubles club member who weighs in the biggest catch during this period can choose between a full day sporting and a half day two fish season membership for next season. This entry was posted in Stocks Reservoir Fishing Reports on October 13, 2016 by staff. Over the last week we have seen an increasing number of fish being caught from all over the reservoir. The boats have found success over the Northern shallows and down the east bank. The best methods have been dries fished into the calmer water close into the margins. Curry’s Cast has produced some good fish to daddies and claret hoppers. This entry was posted in Stocks Reservoir Fishing Reports on October 9, 2016 by staff.